View from South. From left to right: Jungfraujoch, Plateaux, restaurants and shops “Top of Europe”, research station, Sphinx rock with laboratory building and tourist terrace. The Jungfraujoch is the saddle between the two peaks Jungfrau and Mönch. It lies at an altitude of 3’466 meters above sea level (asl) in the Bernese Alps, on the boundary between the cantons of Bern and Valais. It is at the upper end of the Aletsch Glacier, and part of the Jungfrau-Aletsch area. Since 1912, the Jungfraujoch is accessible by the Jungfrau railways from Kleine Scheidegg, running partly underground in a tunnel through the Eiger and the Mönch. In 1894 the Swiss Federal Council made support of the research station a condition for the concession to the company to build a railway in the pristine alpine world. The railway station Jungfraujoch, at an elevation of 3’454 meters asl is the highest in Europe. 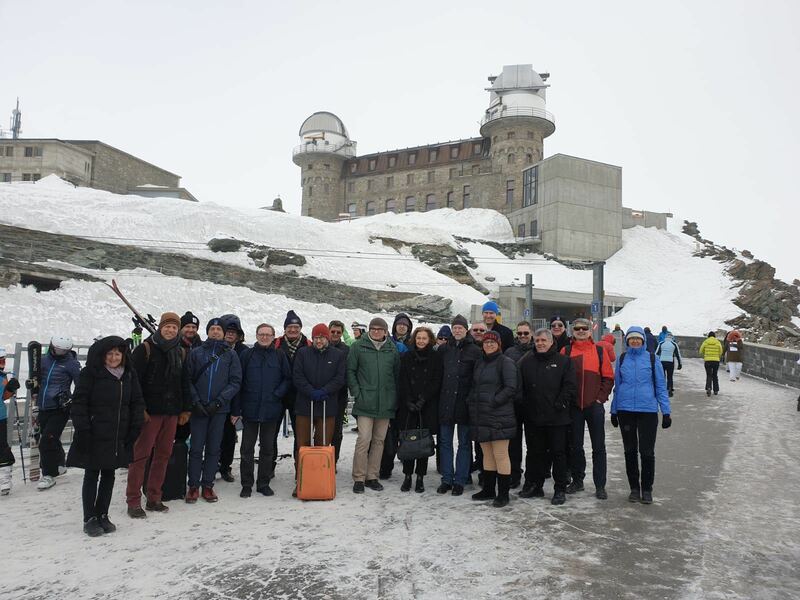 The Research Station is on the south slope of the Jungfraujoch and is accessible by a short walk from the railway station Jungfraujoch through a tunnel. The Sphinx building provides an additional viewing platform at an altitude of 3’571 meters asl. It can be reached by an elevator. The Sphinx building accommodates several research labs.